LIFX bulbs have been a great value for money solution to those looking for smart lighting. It is a cheap and energy efficient Wi-Fi enabled line-up of smart bulbs with great app support. To bring this along with other smart devices under one single roof, LIFX has come up with a new announcement. LIFX announced Apple HomeKit support for all its existing LIFX and LIFX+ models of smart bulbs. HomeKit is Apple's way of streamlining the home automation system under their ecosystem. A single solution such as HomeKit enables all the smart accessories to communicate with each other easily and take the home automation game to the next level. 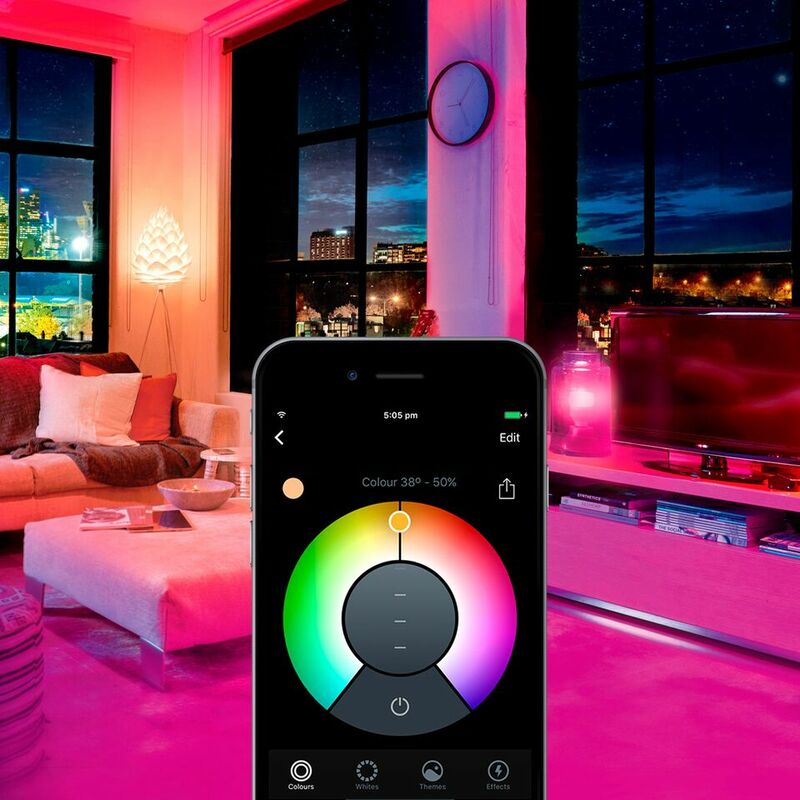 Users of LIFX smart lights, starting today, can control it with their voice via Apple Home App or Siri on their Apple devices, such as iPhone, iPad, iPod Touch, Apple TV and Apple Watch. As mentioned above, bringing HomeKit support to LIFX smart bulbs enables it to seamlessly and securely work with other HomeKit enabled devices. “The HomeKit ecosystem is something we’re thrilled to be a member of. Apple builds amazing experiences and we’re excited to see LIFX added to the HomeKit ecosystem,” said Marc Alexander, Chief Executive Officer at LIFX. The smart bulbs, which are equipped with Wi-Fi micro-controller, use a master/slave network to communicate between each other. The master bulb connects to the main network via 802.11 b/g/n connection and the slave bulbs utilize a low power IPv6 802.15.4 mesh network. LIFX bulbs were already controllable by voice commands through Microsoft's Cortana, Google Assistant and Amazon Alexa. The LIFX app is available on all major platforms (download links below), so adding Apple HomeKit compatibility was the next practical step for LIFX. The LIFX line-up of smart bulbs, which begins at a relatively cheap price of $24.99 for a single LIFX mini white variant, provides at least 800 lumens bright light, with certain models having brightness of 1100 lumens. Depending on the model you select, the supported range of color temperatures vary, thus providing you the right combination of colors for your mood. With an expected lifespan of 22.8 years for all models, this is a great investment for people who want to automate their living room. Users can automate their HomeKit enabled devices via the Home App and control everything using the same interface. You can set your schedules and the LIFX bulbs will wake you up with its wide range of colors or you can even create a perfect lighting to suit your mood. By just sending a voice command via Siri, you can utilize the 16 million colors of LIFX smart lights to create the ideal lighting experience.